You want to look beautiful and feel confident, but every time you look in the mirror you realize your skin is far from flawless. We know what it’s like to feel self-conscious, or worse, even embarrassed, about your skin. Some of us suffer from perpetually flushed skin, have large pores, develop wrinkles and fine lines, have brown patches of skin, or acne that never seems to go away. We know that more than anything, you want to be comfortable in your own skin, but achieving radiant skin that you can be proud of requires a real treatment that gets to the root of the problem. Diffuse redness in particular can be an endless source of frustration; it can make someone look perpetually flushed, angry, or exhausted for no reason at all. Diffuse redness is general redness rather than discrete, well-defined vessels. It’s caused by dilated capillaries in the skin and is often associated with a skin condition called rosacea. It most commonly affects the nose, forehead and cheeks, so it’s hard to hide—even with makeup. 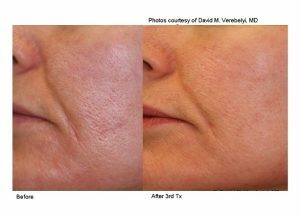 With the non-invasive technology of the Excel V Laser, Renew MediSpa is able to offer its patients a chance to finally achieve clear, radiant skin with no downtime or recovery. The Excel V Laser Genesis treatment can address a wide variety of skin conditions. While our Excel V Laser Facial is more appropriate for advanced cases of unwanted facial vessels, the Laser Genesis provides more of a background/maintenance treatment for conditions such as diffuse redness and Rosacea. Laser Genesis is a powerful treatment for complexion issues like diffuse redness and rosacea, in addition to hyperpigmentation, acne, and large pores. It can be used to target skin conditions on the face, neck, and chest, but it can also be used for as a scar treatment on other parts of the body. The Laser Genesis does wonders as a painless acne scar treatment, and it works extremely well in combination with other treatment modalities. 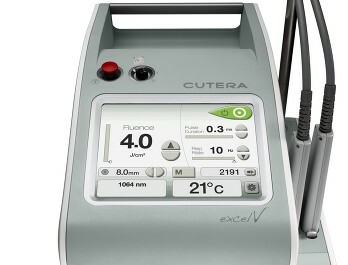 When combined with the Excel V Laser Facial, it’s also a potent treatment for advanced/severe cases of Rosacea. Your results will appear over time after your first treatment, but it’s recommended that patients undergo a series of treatments-the overall effect of multiple treatments can be quite dramatic. Because the Laser Genesis is nonsurgical, there’s absolutely no downtime or long painful recovery associated with the procedure. In fact, many patients report the Laser Genesis treatment as being quite comfortable, and many of our patients have the procedure done without any topical anesthetics or gel. The procedure for the Laser Genesis is quick, simple, and gentle on you. 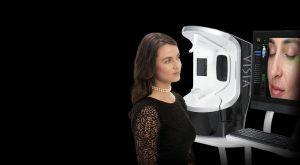 After a thorough skin cleanse and, if needed, a computerized skin analysis using our Visia Skin Analysis system, you will be given protective eyewear and the Laser Genesis tip will get to work on the treatment area. Many of our patients have said that the Laser Genesis feels like a gentle warming sensation on the skin. For facial procedures, the face is divided into approximately 9 regions, with one region at a time treated until the full surface area has been covered. The neck and chest areas are also divided into sections. Afterwards, you can return to your normal activities, although it’s recommended that patients wear sunscreen if they’re participating in outdoor activities. The Laser Genesis’s micropulsed 1064 laser can target a wide variety of skin conditions while allowing for a gentle, comfortable treatment. That micropulse technology allows the Laser Genesis to deliver an effective amount of heat into the skin, but the bursts of energy are short enough that they don’t harm the skin or cause discomfort. The Laser Genesis essentially heats the upper dermis, a layer that’s deep underneath the surface of the skin. The heat then promotes the growth of collagen, a protein that’s responsible for the skin’s elasticity. With increased collagen growth, the skin becomes firmer, tighter, and more youthful. To treat vascular concerns, the Laser Genesis collapses the small blood vessels that cause diffuse redness and rosacea by targeting the blood’s hemoglobin. The laser energy targets blood cells to deliver heat into the blood vessels without affecting the surrounding tissues. Once the blood vessels absorb the heat from the laser, they collapse and become safely reabsorbed into the skin. If you have more prominent capillaries in the skin, we may recommend that you do an Excel V Laser Facial first. This treatment utilizes the same laser (The Cutera Excel V Laser) but different settings that are targeted to destroy larger vascular concerns. With the Excel V Laser Facial there will be some post procedure swelling of a variable degree. Once the larger vessels have been cleared, you can enjoy the “no downtime” Laser Genesis procedure thereafter. With the Laser Genesis, you can truly revitalize your skin at the cellular level—but how can you be sure about the state of your skin, or how well the treatment is working for that matter? Renew MediSpa is proud to use our all new 7th Generation VISIA Complexion Analysis System. Our VISIA system utilizes cross-polarized and UV lighting to record and measure your skin’s surface and subsurface. UV photography provides the most complete data set available to analyze the extent of sun damage. It is also ideal for visualizing spider veins, hyperpigmentation, rosacea, and acne. Using this system, we will document your pre-treatment skin condition and document your response to procedures like the Laser Genesis over time. For most, there is no downtime for the Laser Genesis treatment, although our patients do report some slight redness and swelling after the treatment. These side effects should disappear after a few hours. The exception would be in Rosacea treatment or significant facial capillaries- in these cases, the area can be swollen for a longer period of time post treatment. It is usually only bothersome for 72 hrs. Topical Arnica is available at Renew MediSpa to combat post procedure swelling. If you’re interested in learning more about Laser Genesis, call us today to schedule your appointment.